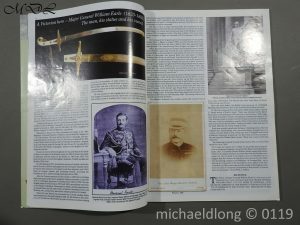 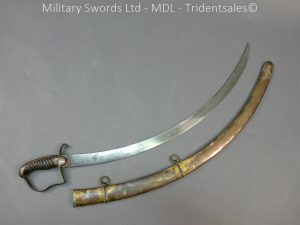 British officer’s mameluke belong to Major General William Earle. 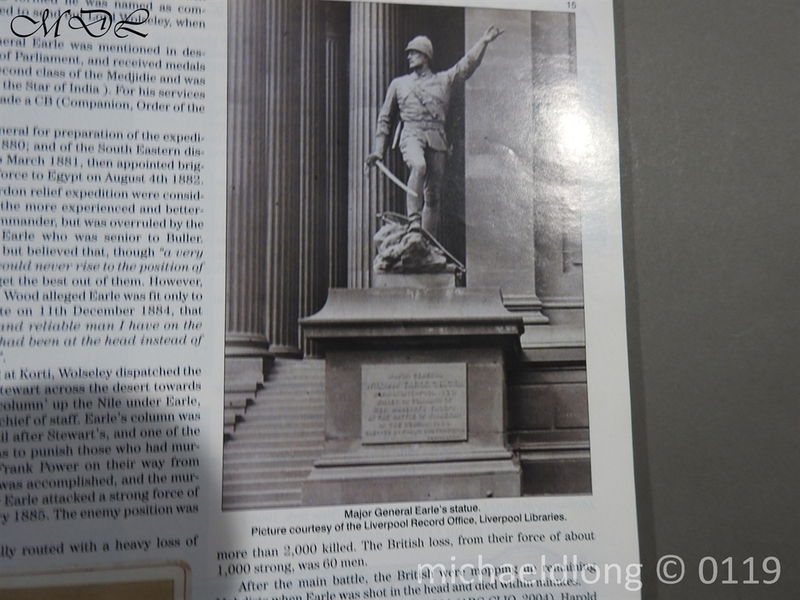 He was born in Liverpool, the son of the merchant Sir Hardman Earle, 1st Baronet and his wife Mary and married Mary Codrington on 21 July 1864. 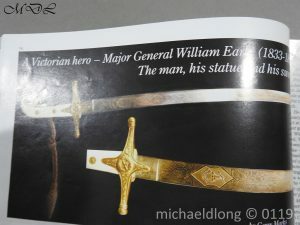 He had a successful military career, recognised by honours including a Companion of the Order of the Bath. He fought in the Crimean War, was later part of the Nile Expedition attempting to relieve General Gordon at Khartoum. 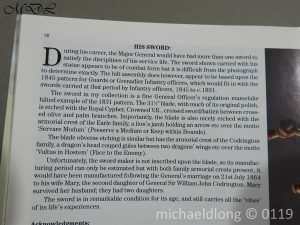 He was killed following the Battle of Kirbekan. 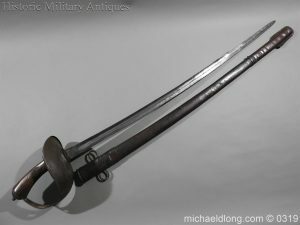 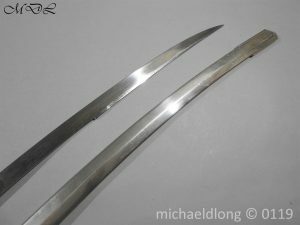 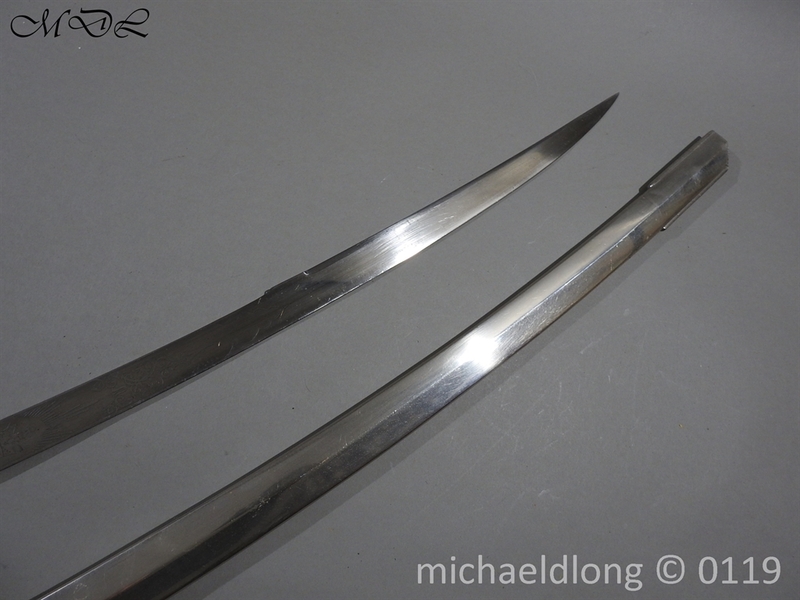 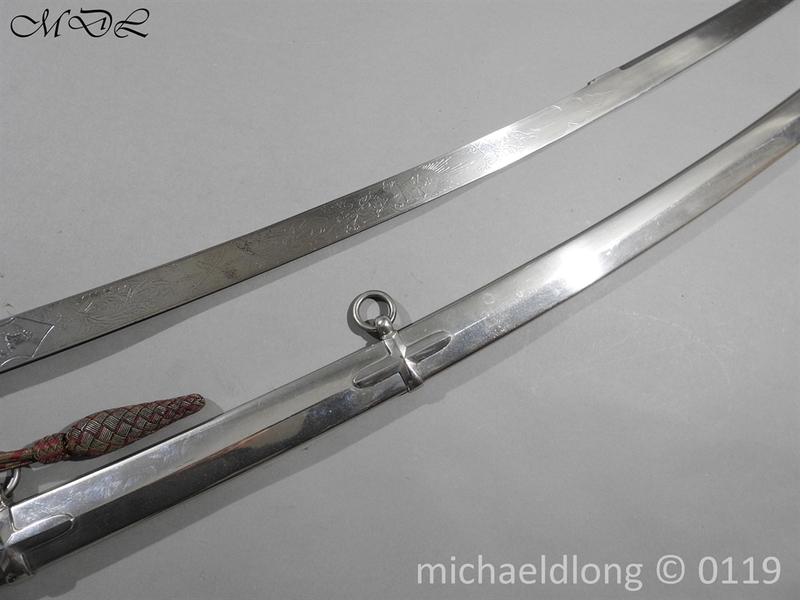 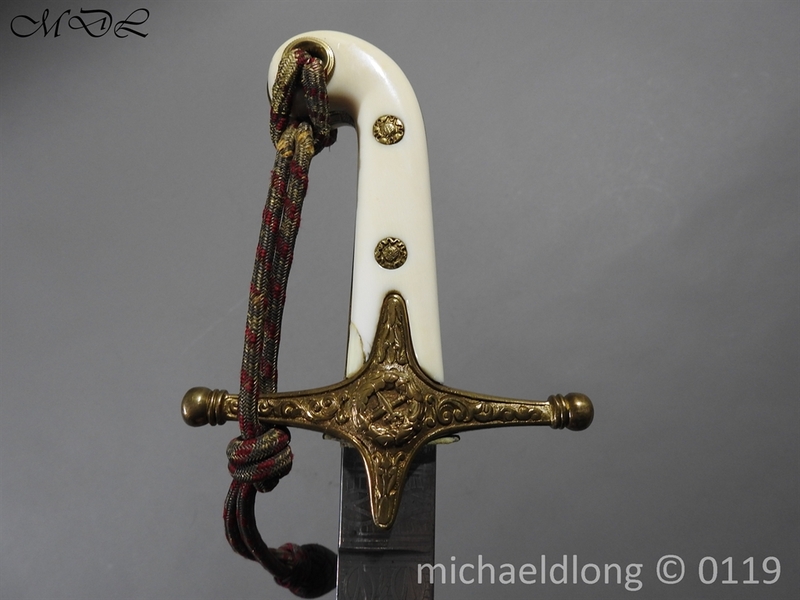 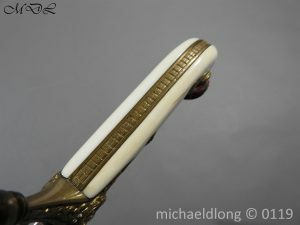 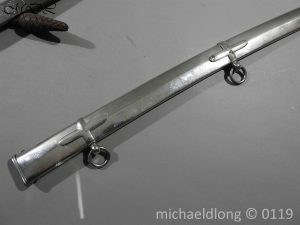 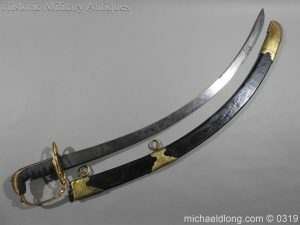 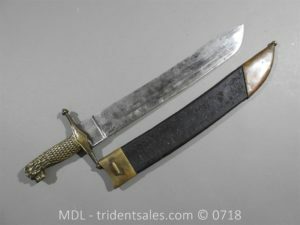 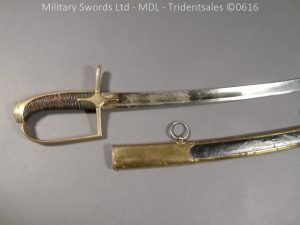 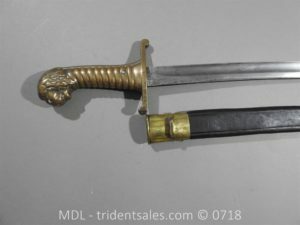 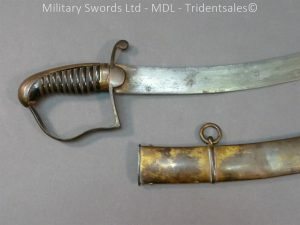 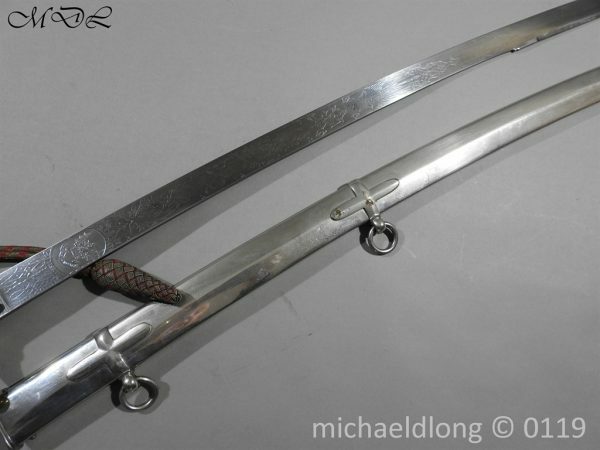 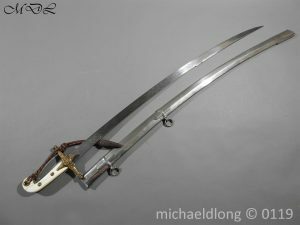 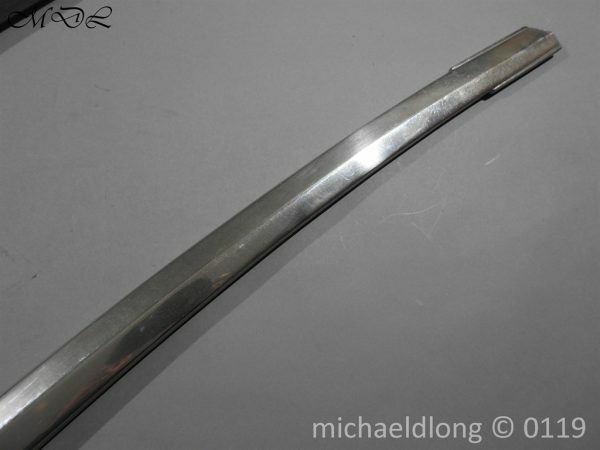 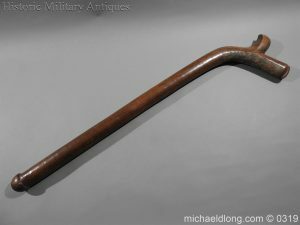 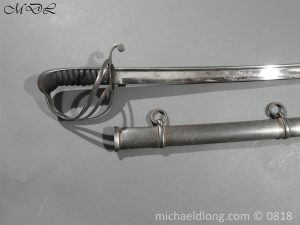 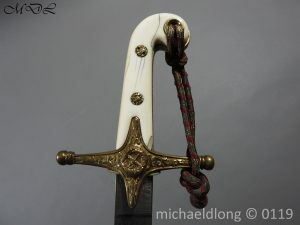 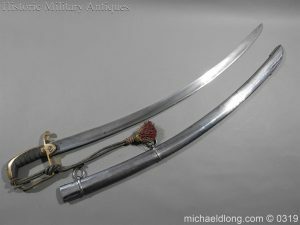 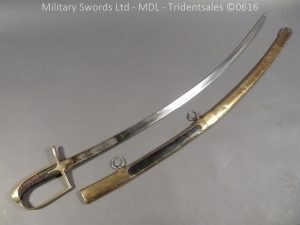 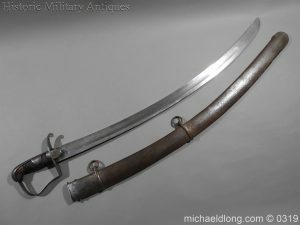 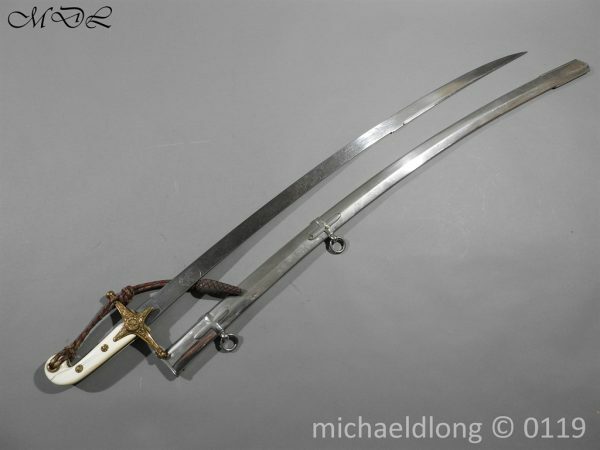 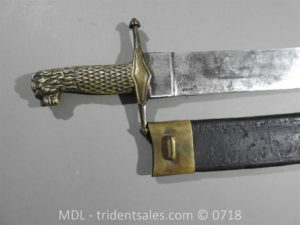 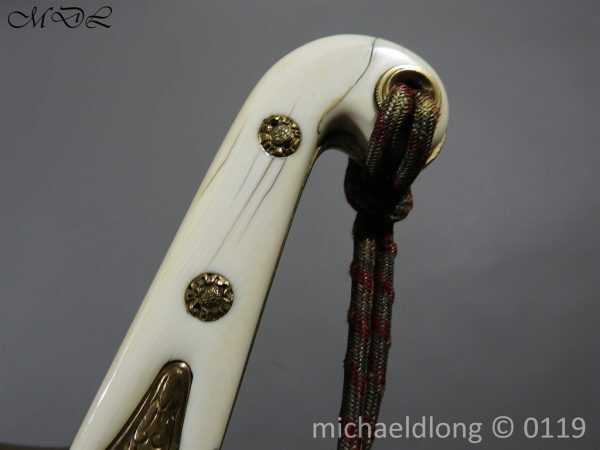 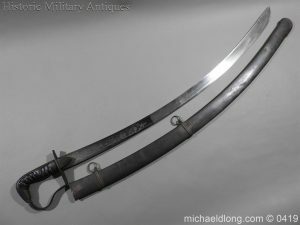 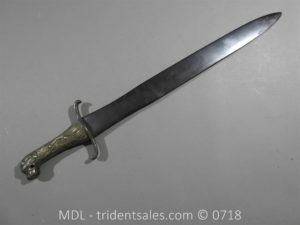 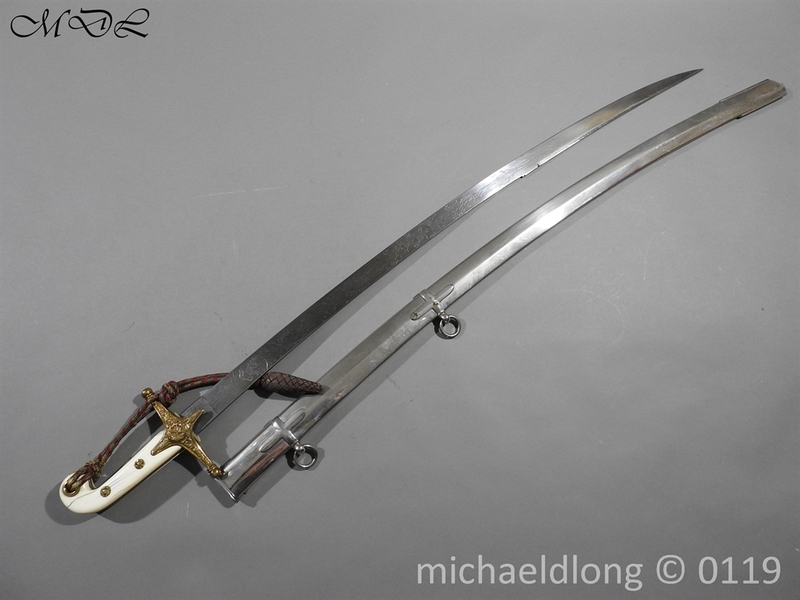 The sword is a regulation General Officer’s Mameluke with bone grip please note small repair and officer’s dress knot. 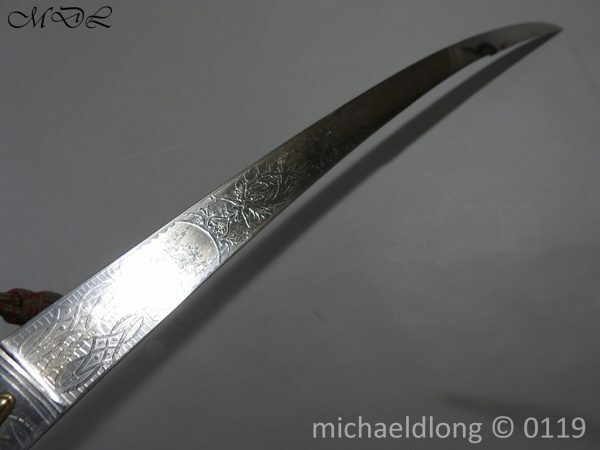 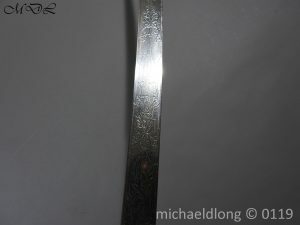 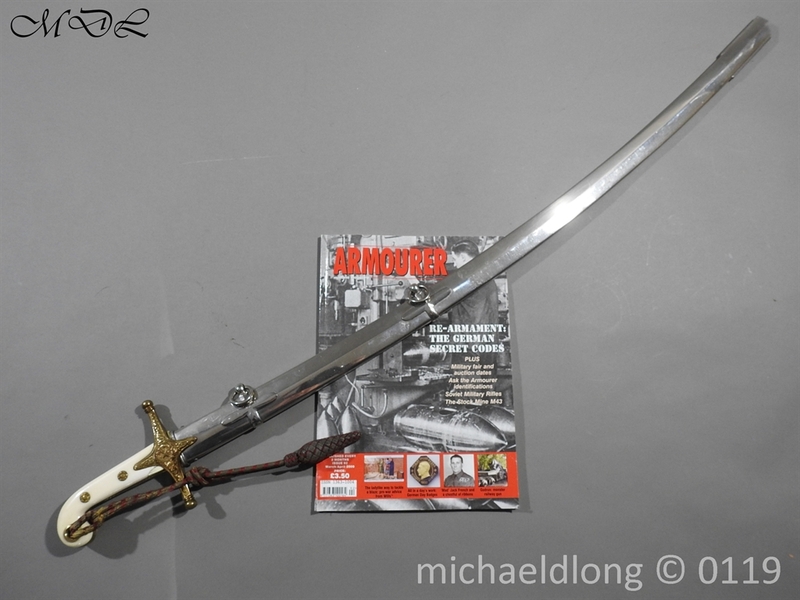 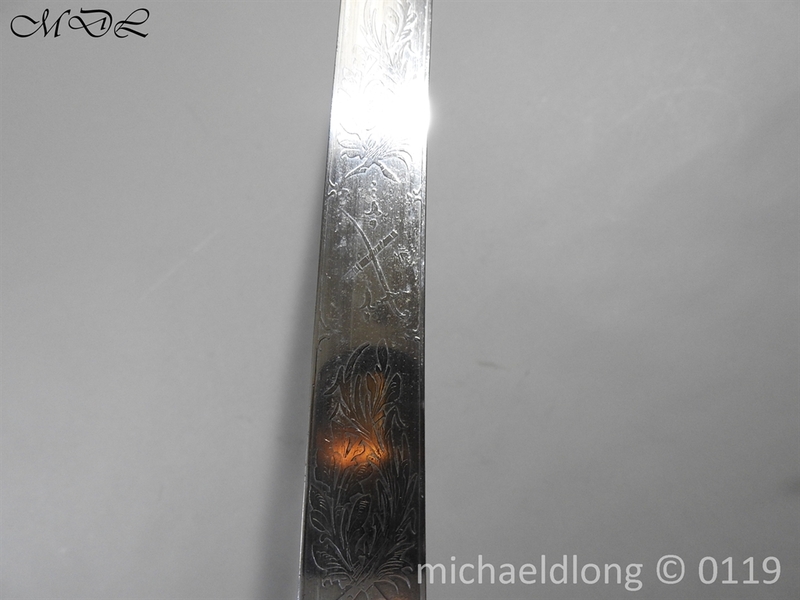 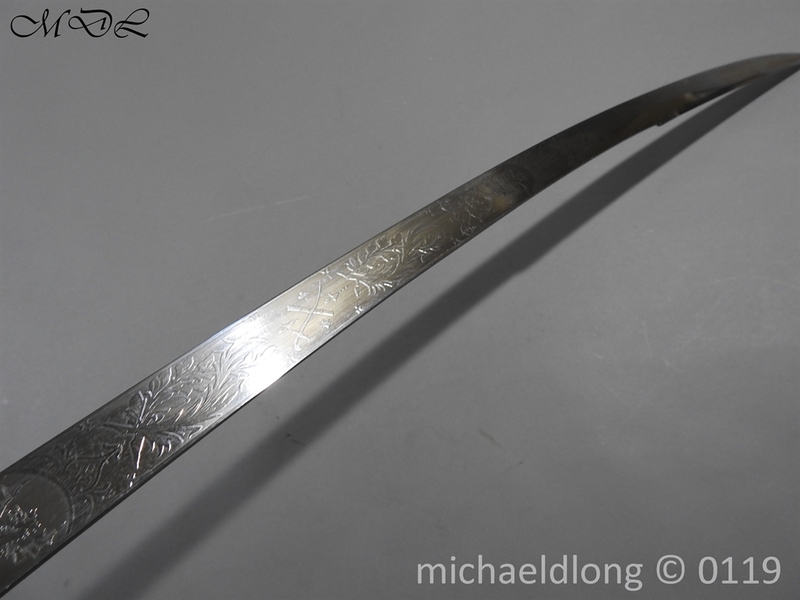 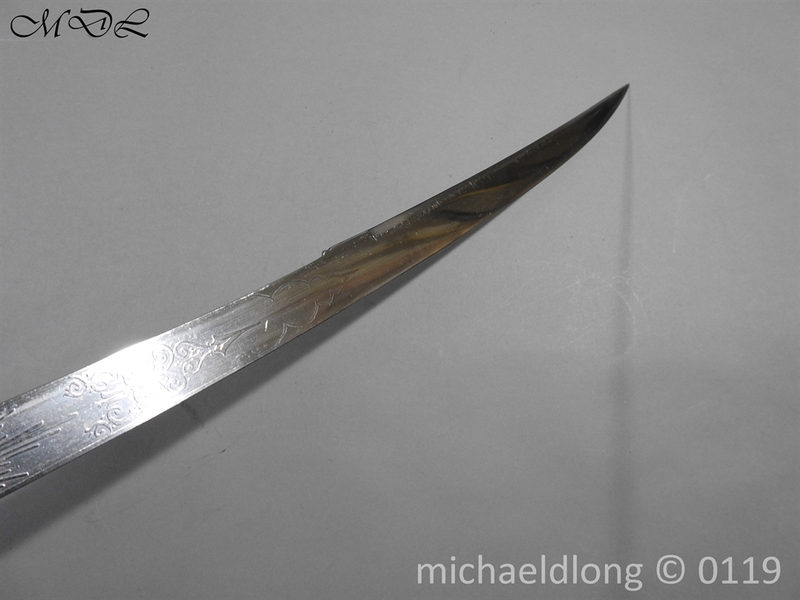 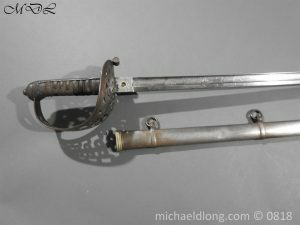 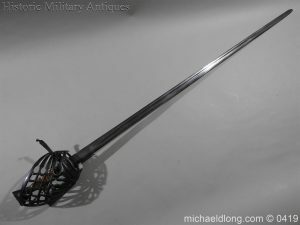 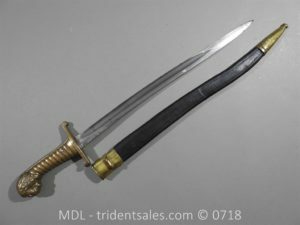 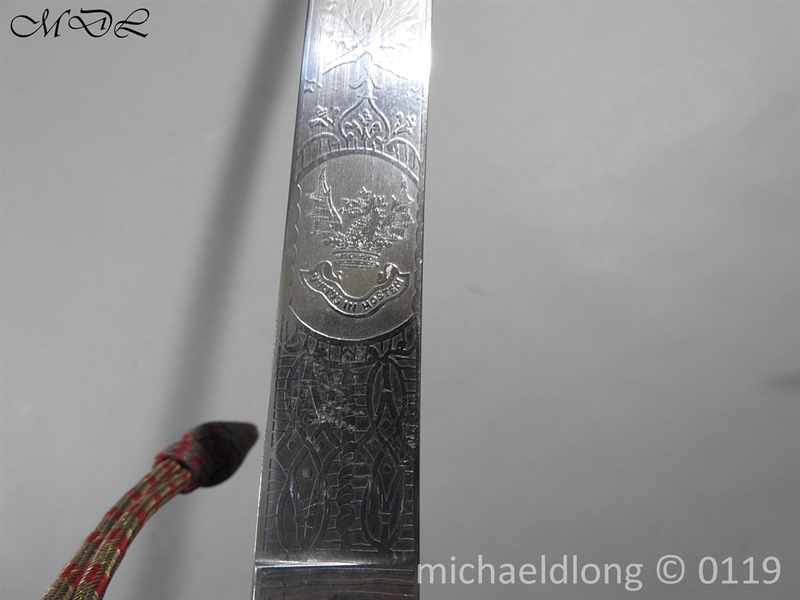 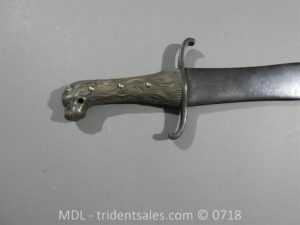 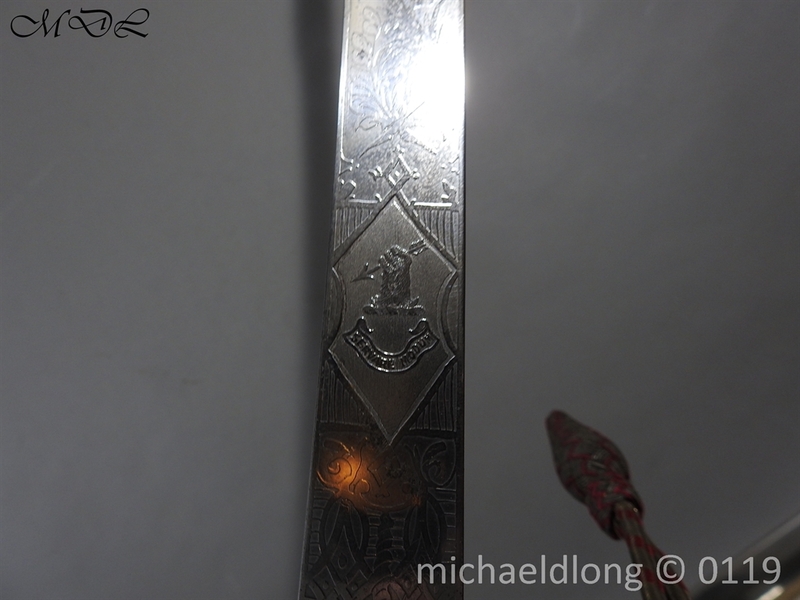 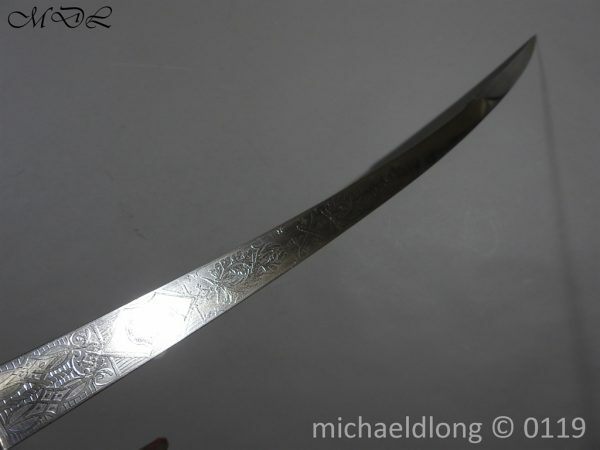 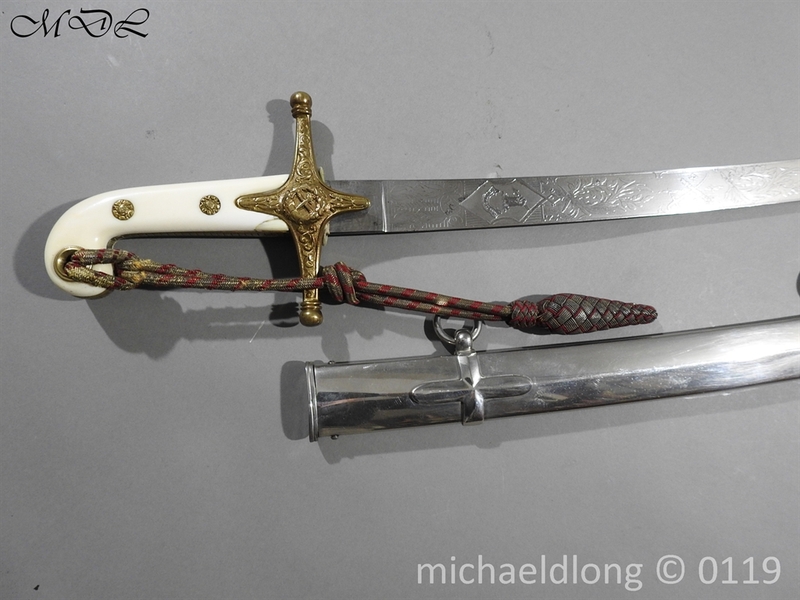 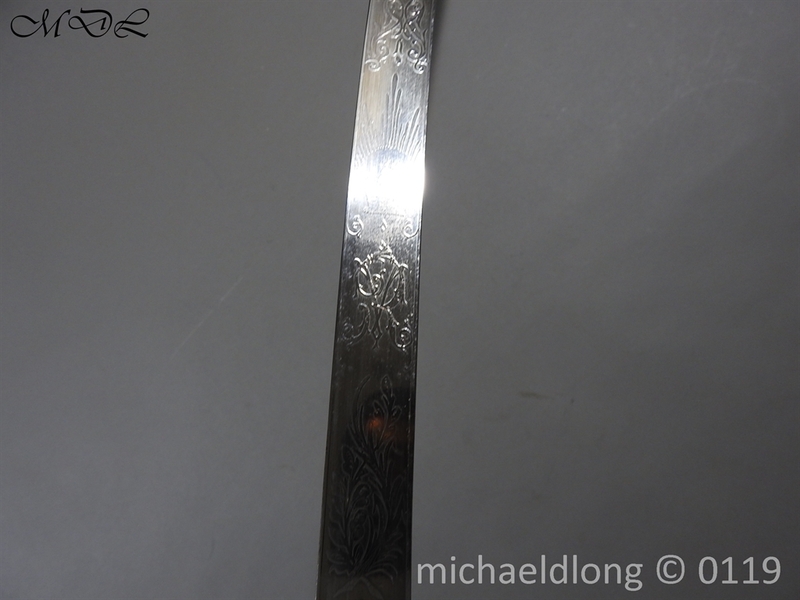 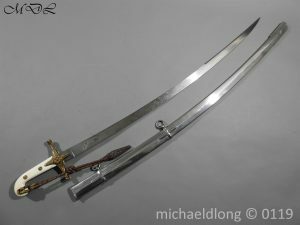 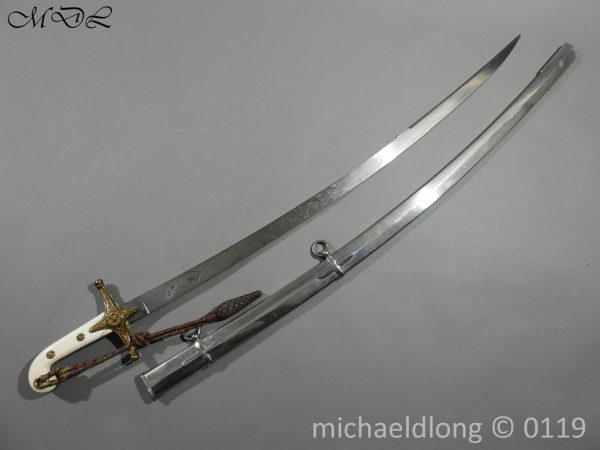 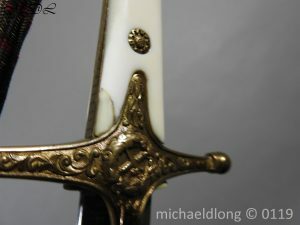 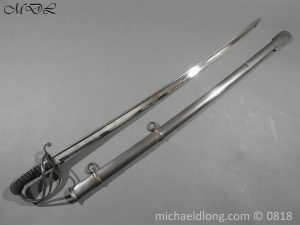 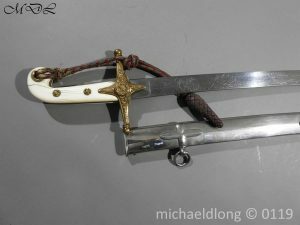 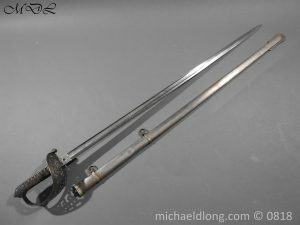 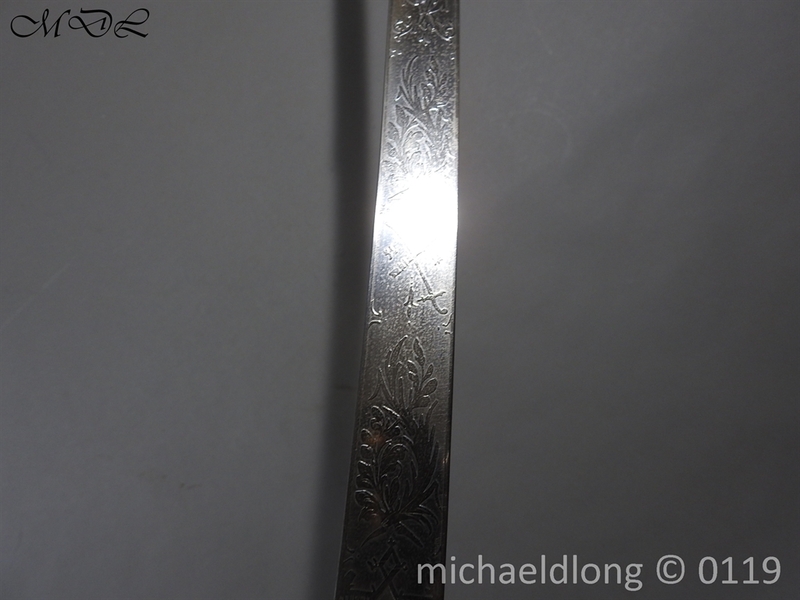 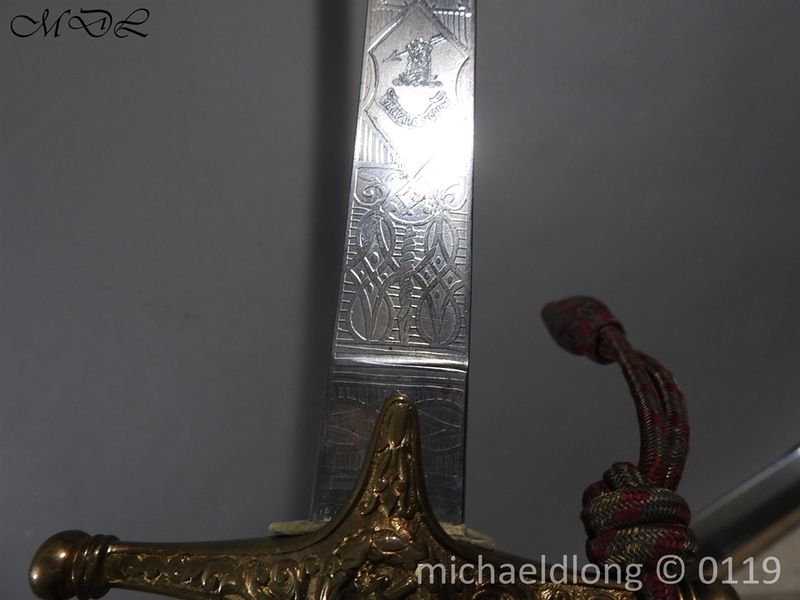 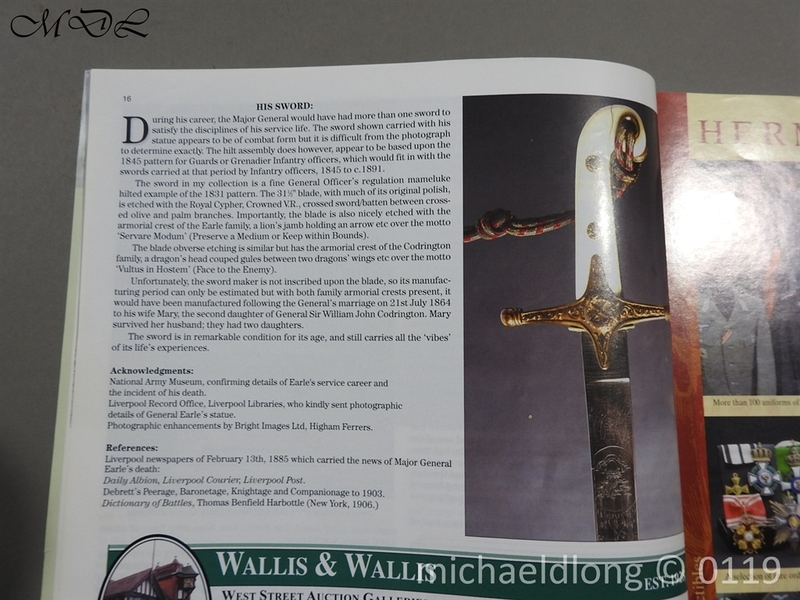 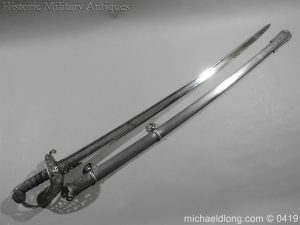 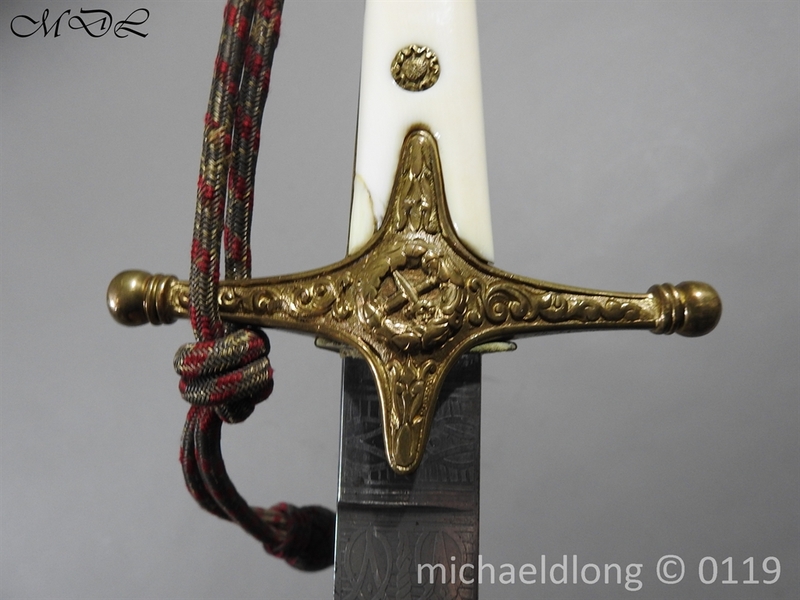 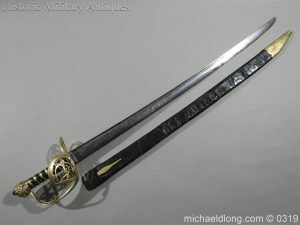 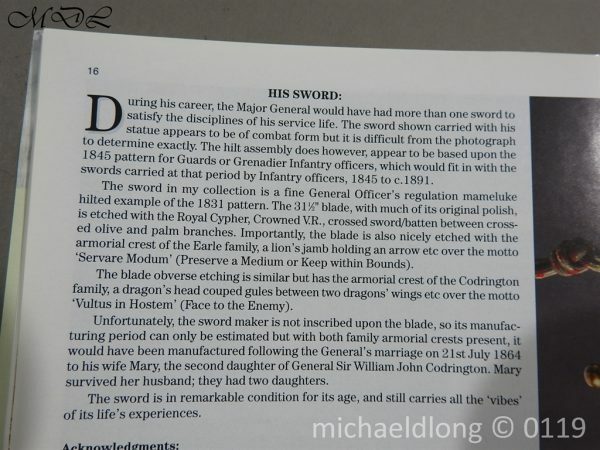 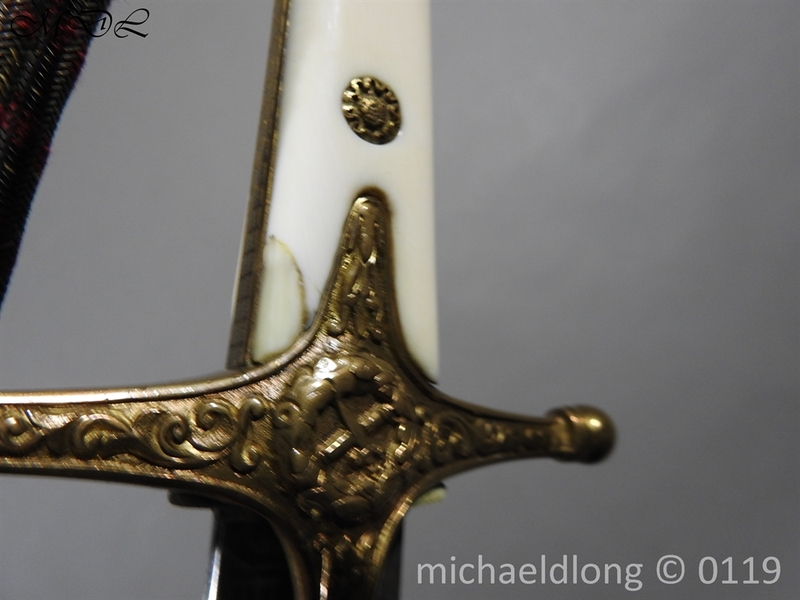 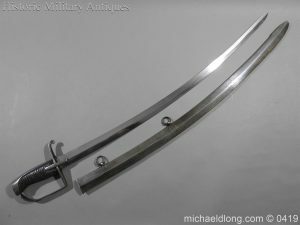 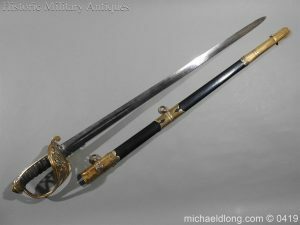 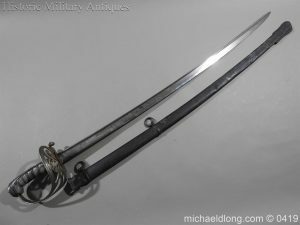 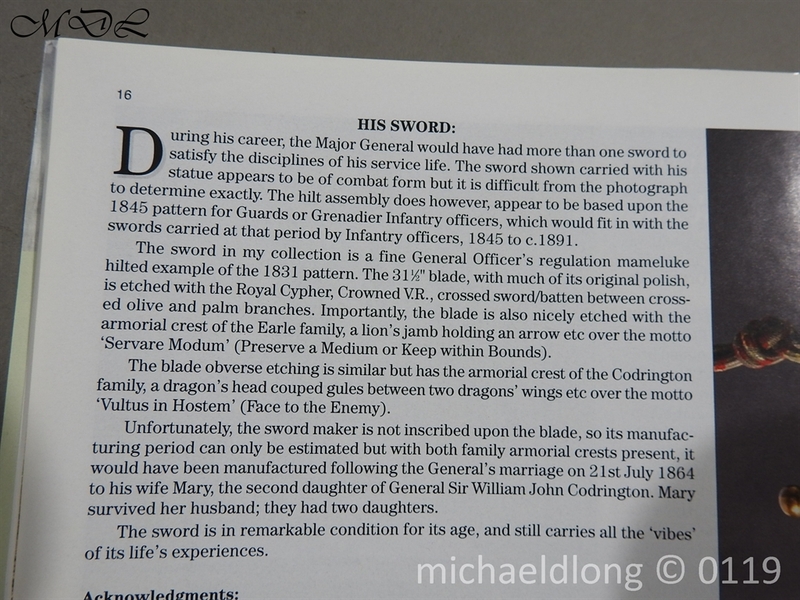 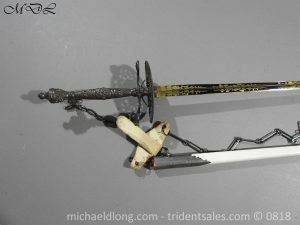 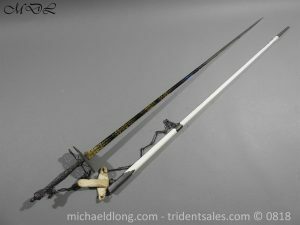 Curved blade engraved with floral decoration, VR cypher and crossed sword and baton plus both family crests, Complete with polished parade scabbard and I copy of the Armourer which includes a detailed article on the man and the sword.